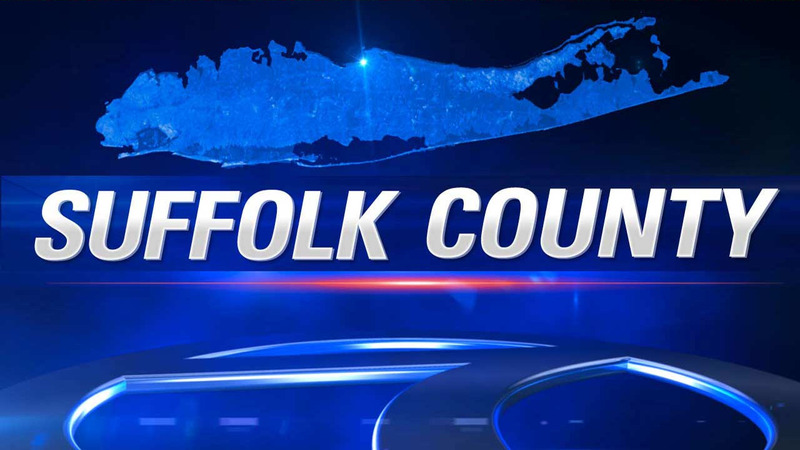 HAUPPAUGE (WABC) -- Suffolk County police have arrested a man they say robbed and forcibly removed a woman from her car while she waited at a red light in Hauppauge Tuesday morning. Authorities say the victim was on her way to work when she exited the Long Island Expressway at exit 56, Expressway Drive North, at approximately 8:50 a.m. While she was stopped at the traffic light on Route 111, police say a man who was walking in the roadway suddenly opened the passenger door to her car and jumped into the front seat. He allegedly stole some of her belongings, which she fought to recover. Police say the man then got out through the passenger door, walked to the driver's side of the car, opened the door and dragged the woman from the car onto the pavement. The suspect entered the vehicle on the driver's side and took more property, police said, which the woman again fought to retain. The suspect then ran from the scene when other people began to approach. Patrol officers who responded to the scene broadcasted a description of the suspect while other officers searched the area. Approximately 10 minutes later, police located the suspect, identified as Richard Clinton, at the nearby Joshua's Path and Motor Parkway. Clinton, 34, was taken into custody and transported to Southside Hospital in Bay Shore for the effects of narcotic drug use. He is charged with second-degree robbery, resisting arrest and three counts of criminal possession of a controlled substance.